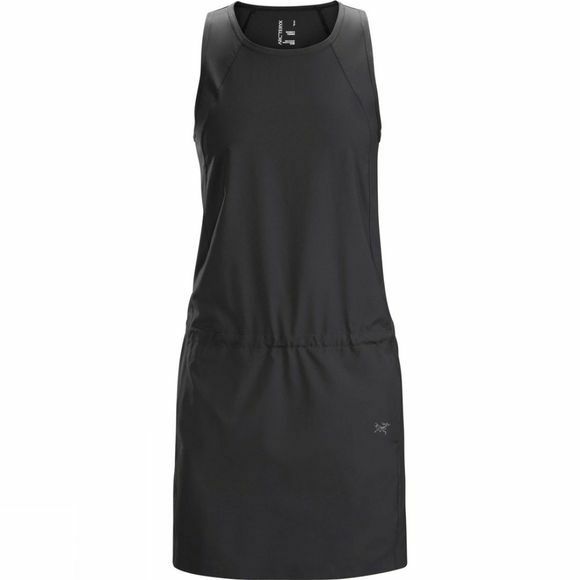 Relaxed fit, dropped waistline dress with integrated discreet waist adjuster that is ideal for use in hot weather or while travelling. Comfortable, stretchy, soft-to-the-touch Diem polyester textile dries quickly, packs well, doesn't wrinkle and is easy to care for. With two convenient hand pockets and a discreet security pocket. Redesign gives wider shoulders and a higher neckline for additional coverage and sun protection.